Indianapolis, Indiana water softener repair service is in your budget! Our company offers a wide range of soft water system services, from repairs to installations. You could be having water softener problems for a number of reasons. Be sure to call our professionals for expert advice on what to do in your situation. 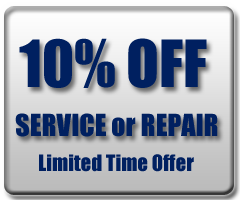 Your repair may be a simple DIY job that we can assist you with over the phone! If not, we are happy to repair or replace your broken unit. We also offer unit sales and rentals. Call us at 317-537-9707 for professional water softener repair service in Indianapolis, Indiana. We offer water softener service at the most competitive rates in Indianapolis, IN. Our company offers a long list of services for soft water softeners; such as repairs, replacements, maintenance, installations, and more. We also sell and rent water softener systems; new and used. Call on our highly trained and experienced water softener service technicians in Indianapolis, IN today!